Candidates are informed that CEED application form can now be filled by them till November 14, 2018. The last date to fill CEED this, candidates can fill their application form for CEED exam by paying a late fee till November 16, 2018.
aspirants for admission in MDes and PhD programmes offered at colleges accepting CEED scores/ranks for admission. Any aspirants wanting to appear for the entrance exam should definitely go through CEED application process, application fee, important application submission dates and more details which are mentioned below. Fill CEED 2019 application form here. In order to successfully register for Common Entrance Examination for Design (CEED), candidates need to first of all create a login ID wherein they need to enter details such as their email address, name, date of birth, gender, address, mobile number and password. verification take place at this step to inform if the candidate is eligible to apply for CEED exam. If the candidate meets the eligibility criteria then they have to click on “Mobile Verification Link” and an OTP will be sent on their registered mobile number. After aspirants fill all the above mentioned details they need to upload the below mentioned documents with their online CEED application form. Scanned copy of degree/diploma certificate if the course is completed. If the candidate does not have final degree certificate then he/she needs to upload a copy of the final year mark list or the provisional certificate. If the course is not completed then a certificate from the Principal of the College/Head of Department needs to be included. Candidates who are applying in the SC/ST/OBC NCL category have to produce valid category certificates issued by appropriate authorities. OBC NCL certificate issued only from April 1, 2016 onwards are accepted. Candidates who are applying in PwD category should produce valid medical certificate issued by appropriate authority. Candidate whose name is not the same as mentioned on the degree/diploma certificate should produce gazette notification, marriage certificate or scanned pages of the passport showing the change of name. signature may lead to rejection of CEED application”, informs the official website of CEED exam. Candidates should also pay attention to the size and format of documents submitted with CEED application form. Next, aspirants need to pay the application fee in order to successfully register for CEED entrance exam. CEED application has to be paid online by means of debit/credit card or net banking. Candidates are informed that CEED application fee is non-refundable and so they should pay the registration fee with utmost care. Candidates who fail to submit their CEED application form within the stipulated time need to pay a late fee of Rs 500 if they submit their application form between November 10 to November 16, 2019 (till 11:45 pm). Lastly, after successfully submitting their details as well as paying the application fee, candidates should take a clear print of their duly filled application form and keep it with them for further use. Get detailed information about all CEED 2019 important dates such as exam date, registration date, application date, result date and much more on Shiksha. It is our business to ensure that you never miss a single exam date or an update on CEED 2019 exam! CEED 2019 is scheduled to be conducted on January 19, 2019 from 10 am to 1 pm. CEED applications forms need to be filled by candidates from October 9 to November 14, 2018. The result for CEED exam is scheduled to be declared on March 4, 2019. Download previous year CEED question papers and sample papers to boost your confidence and enhance your time management skills. With the help of previous year CEED question papers available on Shiksha, you can improve your speed and accuracy besides getting an idea of the type of questions you can expect in CEED 2019. Aspirants can download CEED previous year question papers free of cost. You can also download preparation guides for the exam designed by Shiksha experts. CEED 2019 exam uses English as a medium of instruction. The CEED exam pattern is such that the test consists of two parts, which are, Part A and Part B. Both the parts are conducted on the same day and aspirants need to appear for both the exams on the given date and time. Part A of CEED exam consists of objective type questions – MCQ, MSQ and NAT. Candidates need to attempt CEED Part A exam on a computer. Questions asked in this section of CEED exam are from topics such as visual and spatial ability, environmental and social awareness, analytical and logical reasoning, language, observation and design sensitivity. Part B of CEED paper comprises of questions to test an aspirant’s design, drawing and writing skills. In CEED Part B exam questions are displayed on a computer screen and candidates need to solve them on an answer booklet provided by the invigilator. There are 8 questions in CEED Part B exam. The marking scheme is such that question number 1-5 in CEED exam are of 50 marks each and candidates have a choice to attempt any one of these questions. Note: Part A of CEED 2019 will be considered as a screening exam. Thus, students who have been shortlisted in this test will be evaluated for Part B of the exam. However, only the scores of candidates in Part B will be used to prepare the merit list for CEED 2019. The final CEED score of candidates is determined by giving 25% weightage to marks obtained by candidates in Part A and the remaining 75% weightage is determined basis scores obtained in CEED Part B exam. Visualisation and spatial ability Pictorial and diagrammatic questions to test: understanding of transformation and/or manipulation of 2D shapes and 3D objects and their spatial relationships; knowledge of practical and everyday mechanical and scientific concepts. Environmental and social awareness General awareness of environmental factors such as climate, population, water, vegetation, pollution, weather, natural resources etc., and their implications on the design of products, images, infrastructure and environment. Awareness of social and cultural connection with design, history of the designed artefact, and socially responsible and environmentally sustainable design responses. History of art, sculpture and literature. Analytical and logical reasoning Ability to look at information, be it qualitative or quantitative in nature, and discern patterns within the information. Ability to weigh opinions, arguments or solutions against appropriate criteria. Ability to check for hidden bias or hidden assumptions and whether evidence and argument support conclusions. Ability to use logic and structured thinking to deduce from a short passage, which of a number of statements is the most accurate response to a posed question. Data Interpretation, brainteasers, and patterns. Language and creativity Ability to understand and use Standard English. Reading comprehension, knowledge of English grammar such as sentence structure and usage, the use of tenses, verb patterns, articles, and active and passive constructions, etc. & vocabulary skills. Ability to think creatively in terms of alternatives, ability to distinguish innovative options and think out of the box. Design thinking and problem solving Ability to use visual analogies, metaphors, signs and symbols. Ability to understand complexity, identify problem, generate alternatives, evaluate options and select solutions. Observation and design sensitivity Ability to detect concealed properties in ordinary things, people, situations, and events, and thinking critically about them. Applying attention to certain details, analysing, reasoning, classifying, inferring and predicting. Ability to discern subtle differences in visual properties and aesthetic outcomes. Drawing Ability to draw products, people or scenes in proportion with good line quality, composition, proportion, perspective and shading. Creativity Ability to think out-of-the-box and come up with unique as well as diverse solutions. Communication Skills Ability to communicate concepts and ideas clearly with the help of text and visuals. Analytical and Problem Solving Skills Ability to undertand the user and the context, knowledge of properties of materials and process and their appropriate use in design, originality of solutions, ability to create characters, plots and stories etc. IIT Bombay releases CEED 2019 result on the official website of the exam. Candidates can also download their CEED scorecard from the official website of the design entrance exam. CEED result is declared by Indian Institute of Technology, Bombay (IIT Bombay) on the official website of the exam. CEED exam is usually conducted in the month of December/January and the result for the design entrance exam is mostly declared in the month of March each year. In order to check Common Entrance Examination for Design (CEED) result, candidates need to fill their seven digit registration number as well as nine digit application number or email ID and password on the official website of CEED exam. CEED test pattern is such that the entrance exam is divided into two parts, that is, Part A and Part B. Part A of the exam is used as a screening test. CEED Part B answer books for only those candidates are evaluated who have been shortlisted basis Part A exam score/performance. CEED Part B answer books are evaluated manually. The official CEED website states: “If ‘N’ is the total number of seats available in a particular category for all the participating institutes, then approximately 10XN candidates for that category will be shortlisted using Part A”. But this process will only be followed provided the candidate scores the minimum prescribed marks or more in Part A of CEED exam. Thus, candidates should be well aware that Part A of CEED exam is just to shortlist candidates and the scores that they achieve in Part B of the exam will finally be used to prepare CEED merit list. The CEED score secured by candidates would be valid for a duration of one year from the date of declaration of CEED result. The final CEED 2019 score is determined by giving 25% weightage to a candidate’s score in Part A and 75% weightage to an aspirant’s CEED Part B score. Candidates are now provided with the option to download their CEED scorecard from the official website of the college. CEED scorecard would be issued to only those candidates who have qualified Part B of the design entrance exam. Candidates need to download their CEED scorecard and take a clear print of the same. Scorecard of CEED exam needs to be carried for the counselling round. Students are informed that no separate hard copy of CEED scorecard would be sent to them under any circumstance. CEED scorecard is valid for a duration of one year only. Candidates are informed that merely scoring a CEED rank does not guarantee admission in colleges accepting CEED scores for admission. Thus, if candidates are shortlisted for admission basis their performance in CEED then they need to separately fill the application form at each college that accepts CEED scores for admission in MDes programmes. Thereafter, candidates need to meet the admission requirements as listed by each college which include appearing for another written test/interview round that is conducted by individual colleges for admission. CEED admit card is issued by IIT Bombay on the official website of the design entrance exam. The admit card for CEED exam is issued for only those candidates who have duly filled and submitted the application form for CEED exam. Candidates can download CEED 2019 admit card from the official website of the exam by filling their login details like registration number and password. CEED admit cards would be available for download from January 1, 2019 onwards. Candidates need to download their CEED admit card latest by January 19, 2019. Aspirants need to note that CEED admit card is a very important document and no candidate will be allowed to appear for CEED exam if they are not carrying a valid Common Entrance Examination for Design admit card on the day of the exam. Candidates need to check their CEED admit card thoroughly and ensure that it does not have any errors. In case there is any discrepancy in the information on their admit card, candidates should immediately inform the same to CEED authorities. IIT Bombay releases the answer key for CEED 2019 on the official website of the exam. CEED exam comprises of two section which are – CEED Part A and CEED Part B exam. Part A of CEED exam is a computer based test which evaluates candidates on the basis of their visualisation and spatial ability, environmental and social awareness, analytical and logical reasoning, language and creativity, observation and design sensitivity. On the other hand, CEED Part B exam is a pen and paper based test wherein drawing skills, creativity, communication skills as well as analytical and problem solving skills of candidates are tested. Part A of CEED exam acts as a screening test. CEED Part B section of only those aspirants is evaluated who have performed well in Part A of the exam. IIT bombay officials also release the question paper for CEED exam. Candidates are informed that CEED answer key is released for only Part A of the exam. Candidates can check CEED 2019 answer key by clicking on “Answer Key” tab/link as mentioned on the official website of the design entrance examination. Each year, IIT Bombay first releases the provisional/draft answer key for CEED exam. Here, candidates are provided with an opportunity to raise objections if they find any question/answer marked in the CEED key to be wrong. Once this is done, IIT Bombay releases the final answer key for CEED exam. In CEED final answer key, officials provide candidates with the correct response for each question asked in CEED Part A exam. By going through CEED answer key candidates can develop a rough idea of how they have fared in CEED 2019 entrance exam. National Institute of Fashion Technology (CEED) is a fashion institute in India. It was set up in 1986 under the aegis of the Ministry of Textiles, Government of India With its head office in New Delhi, CEED has total 16 centers across India located at Mumbai, Kolkata, Kangra, Gandhinagar, Hyderabad, Chennai, Bangalore, Raebareli, Patna, Shillong, Bhopal, Kannur, Bhubaneswar, Srinagar and Jodhpur.CEED offers four-year bachelors, as well as two-year master programmes in the areas of Design, Management, and Technology with total 2800 seats in all the programmes. BRDS has consistently brought out successful students for getting into CEED and it is proud to achieve highest selection in CEED compared to any other coaching institute in India. BRDS is the only institute to publish full result year after year with brief about the students, their city, and photos. No institute in India provides results with so much detail. CEED (Common Entrance Examination for Design) is a qualifying examination for admission to Master of Design (M.Des) programmes at IISc Bangalore, IIT Bombay, IIT Delhi, IIT Guwahati, IIT Hyderabad and IIT Kanpur. BRDS has consistently brought out successful students for getting into IIT’S and it is proud to achieve highest selection in IIT’s compared to any other coaching institute in India. BRDS is the only institute to publish full result year after year with brief about the students, their city, and photos. No institute in India provides results with so much detail. BRDS India’s NO 1 Design Coaching Institute : BRDS is proud to announce that BRDS has the Highest selection of students in NID /CEED /IIT-CEED /NATA /CEPT /UID /WWI /TDV /SRISHTI /GLS /IIAD /SOFT /SID this year as compared to any coaching institute in India.BRDS has been recognized in a number of publications and media outlets may it be results or achievements of our students, our fashion shows, career guidance, and news on designing industry/colleges. Click any of the links below to know more about some of our most recent or notable moments in the media. 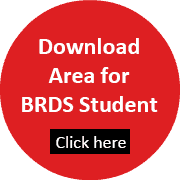 BRDS Study Material is the Highest selling course material for NID, CEED, CEED, NATA and CEPT through out India comparing to any coaching institute. CEED Mock Test Series 2018 – 19? 10 mock test Series designed by CEEDians, according to last years papers. These questions have been designed keeping the changing pattern of exams in mind and type of questions that can be asked. Note :If you wish to receive the solutions of the CEED Test Series, kindly Click a picture OR Scan your CEED Hall Ticket and Mail [email protected] We will email you the solutions.